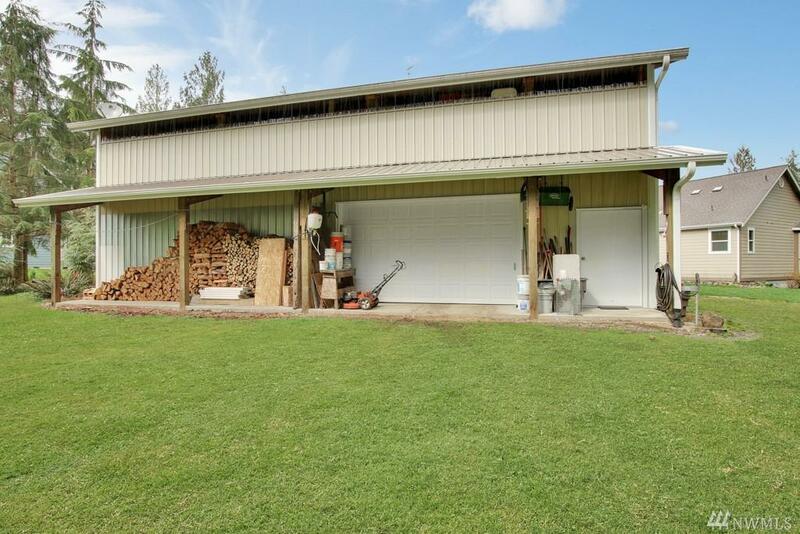 Custom home on private 5.04 acres + dream shop! 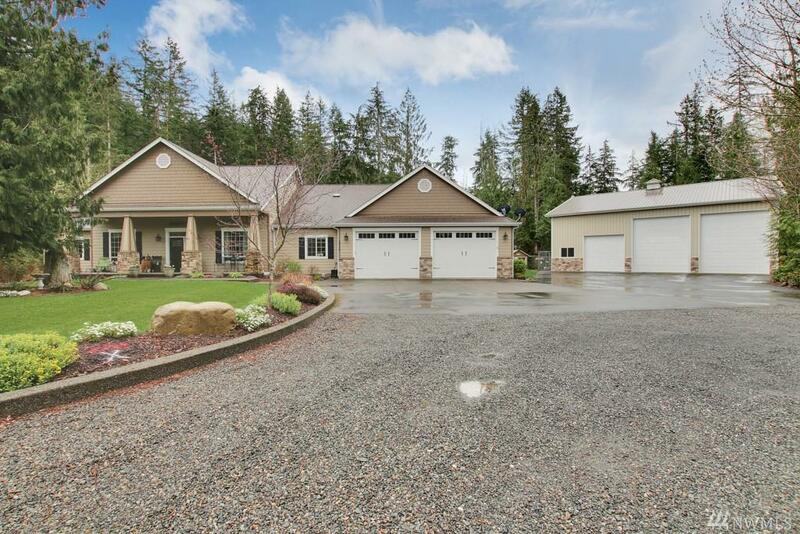 This 3220 sq ft sprawling rambler offers an additional 1200 sq ft unfinished basement! The soaring ceilings & open floor plan are ideal for entertaining! Chef's kitchen boasts granite counters, stainless appliances & double ovens. Window lined great room frames the tranquil view. 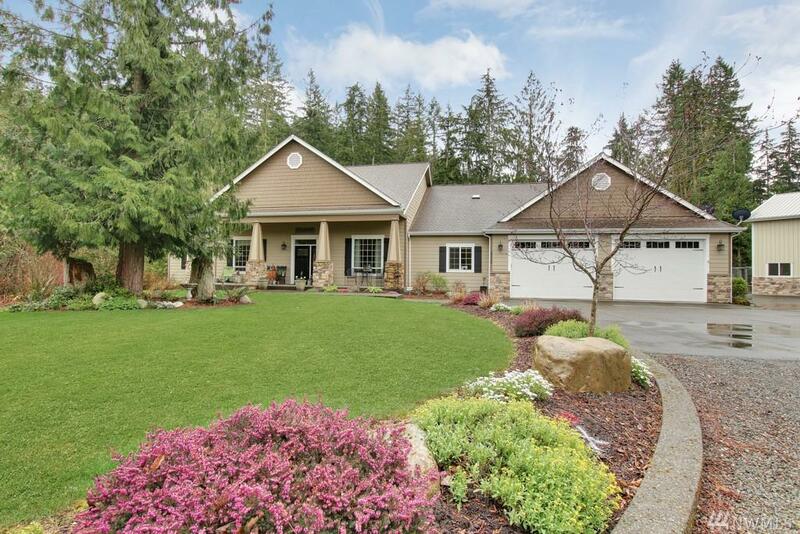 2nd Master Bedroom ~ Geothermal heating & cooling ~ oversized attached garage ~ deck w/ fire pit ~ garden area. 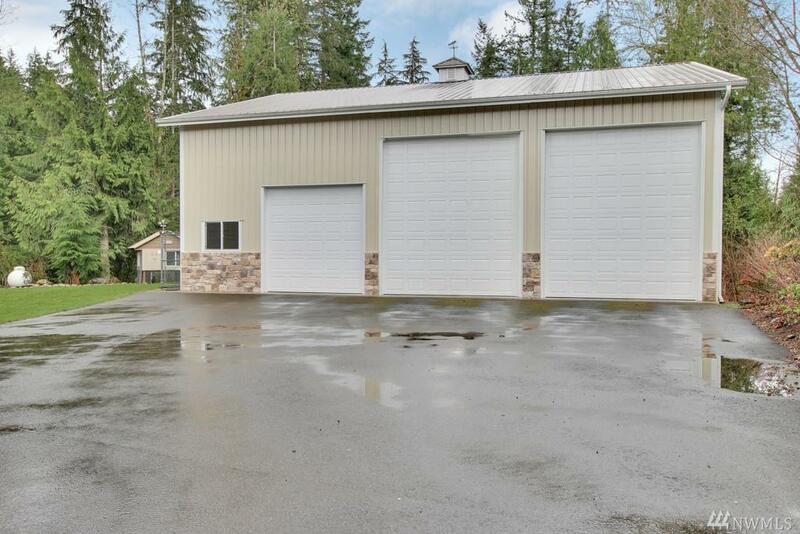 The 50 x 50 SHOP features 3 bays, 14' doors & workshop!